VANCOUVER - A Washington state woman has filed a class-action lawsuit against Teck Resources, claiming toxic pollutants from the company's smelter in southeastern British Columbia are to blame for her breast cancer diagnosis and other health ailments. Barbara Anderson is a longtime resident of Northport, Wash., a small community about 30 kilometres south of Teck's lead and zinc smelter in Trail. "Teck negligently, carelessly and recklessly generated, handled, stored, treated, disposed of and failed to control and contain the metals and other toxic substances at the Trail smelter, resulting in the release of toxic substances and exposure of plaintiff and the proposed class," says the claim, filed Thursday. "This discharge was intentional and made with knowledge that the waste slag contained metals," says the complaint. A 2012 study by the Washington Department of Ecology found elevated levels of lead, antimony, mercury, zinc, cadmium and arsenic in soil, lakes and wetlands downriver from the plant, the lawsuit claims. And another study, concluded this summer by the Crohn's and Colitis Centre at Brigham and Women's Hospital, found that among 119 current and former residents of Northport, there were 17 cases of ulcerative colitis or Crohn's disease -- a rate 10 to 15 times higher than expected in a population of that size. 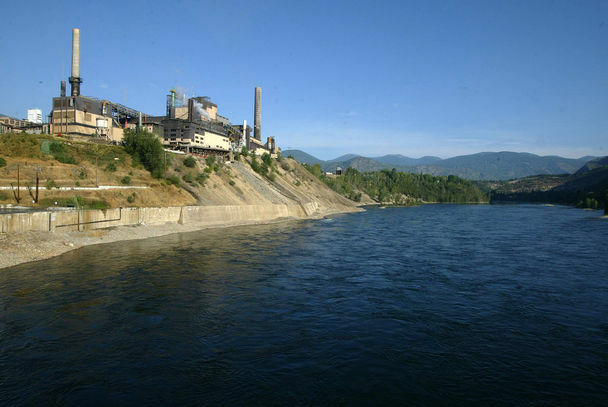 The lawsuit also says the smelter released 123 tonnes of mercury into the air from 1926 to 2005, and discharged at least 180 tonnes into the river in that time. Complaints south of the border about the contamination from the Trail smelter surfaced as early as the 1940s, when farmers from Washington state sued Cominco, Teck's predecessor, over air pollution. That case was eventually resolved in arbitration by the two federal governments and set a precedent for cross-border pollution law. Anderson and potentially others who could form part of a class-action, if approved, "have suffered a personal injury as a result of Teck's wrongful conduct in violation of federal common law, nuisance, and Washington negligence and strict liability laws," the claim says. The suit asks the court for a declaration that the Trail smelter is "a public nuisance and an abnormally dangerous activity." "Teck releases and has released hazardous and toxic substances, which create a high risk of significant harm," it says. "Teck has known or should have known about the potential health, safety and environmental dangers these substances pose to the public." The company has a duty to prevent injury, it says. The allegations in the lawsuit have not been proven in court. Teck has yet to be served with the lawsuit and file a response with the court. "It's possible that this could take a long time," Barbara Mahoney, Anderson's lawyer, said Friday.